Attic ventilation is a common problem in many homes. Unfortunately there are a number of misconceptions surrounding this topic, which can lead to higher heating bills as well as ice dams or mold for homeowners — yikes! 1. The more ventilation, the better! Similarly to choosing the right air conditioning unit, the key with effective attic ventilation is balance — not size. Some people might think that they can’t go wrong with more ventilation. But bigger isn’t better! Insufficient ventilation can lead to decreased energy efficiency and moisture problems. That’s why you’ll want to talk to a professional to ensure your home has the right amount. 2. Ventilation causes heat loss. Heat does rise, but if you are losing heat through your attic, it is because of insufficient insulation and not a vent problem. Warm, damp air can further damage insulation that is already inadequate and may eventually lead to rot. However, heat from the furnace should not reach the attic if it is properly insulated and ventilated. 3. All roof vents are the same. It is not enough to simply have any type of roof vent, and certain types of roof vents can cause problems. For example, too little air may be circulated by gable vents. A contractor can identify the most effective type of vent for your attic. 4. I read research online, so it must be true. While you can read plenty of research online about what kind of roof ventilation system is most effective in laboratory conditions, it all gets more complicated in real-world settings. Your local contractor, who is familiar with the weather systems, building materials and other challenges in your area, is more likely to know what solutions will work best in your situation! Trust us, this isn’t something you want to DIY. 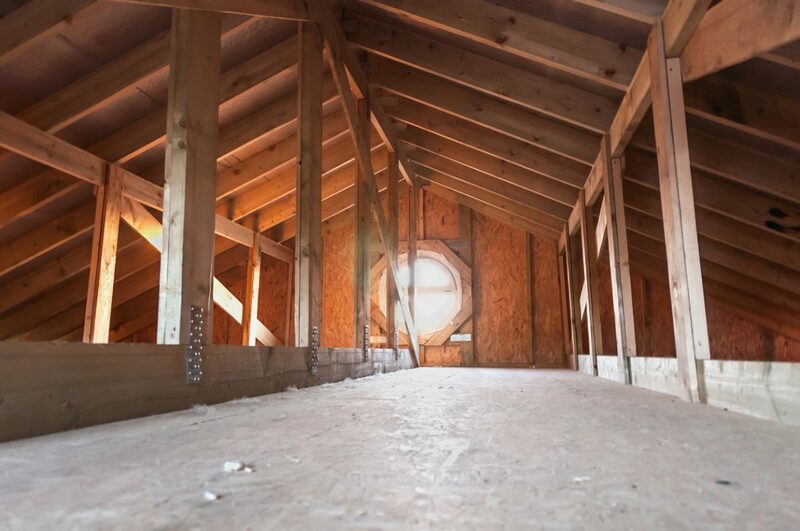 Attic ventilation is important for regulating temperature and moisture, but attic ventilation that is poorly done can be just as harmful as no ventilation at all! That said, make sure to give the professionals at Landmark Exteriors a call. We’ll be able to help with your ventilation needs and any roofing problems you may have!